Intel has designed Next Unit of Computing NUC which is a small personal computer with various functionalities. Different types of motherboards are used in different generations of the Intel mini PCs. The processor, Intel board and kit, RAM size, graphics, display, Universal Serial Bus (USB) ports, etc. differ with the new generation. For example, the processor used in the first generation in mini PC was Celeron processor and those used with the advanced generations are core i3, i5, i7 and Celeron even. The second generation of the NUCs makes use of Ivy Bridge processors with core i3 and i5. Haswell architecture is used in the third generation. The personal computer designs have been revolutionized by the Intel’s next unit of computing. With the advancement in technology, the mini PC gets smaller in size and the chassis gets slimmer. 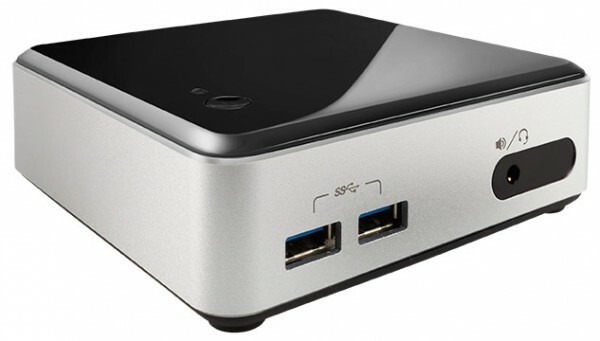 In the fourth generation of Intel mini PCs, core i5 and i3 processor is used. With the use of turbo boost technology, the speed of the processor is enhanced. Other technologies, which include the rapid start technology and the smart, connect technology makes the PC more advanced. With the help of a microphone jack, the core i3 processor can be converted into a home theatre connection. The kits of NUCs are very small in sizes, i.e. in inches. A wireless internet connection can be set with a mini PC of Intel by making use of Bluetooth. Core processor is also used in the fifth generation of Intel core i7 mini PCs. There is no big difference between the fourth and fifth generations of Intel NUCs except the minor changes. GPU horsepower is a term affiliated with gaming. In NUCs, the GPU horsepower is less which can be taken as a weakness of the New Unit of Computing. The graphics used in the Intel NUCs are High Definition. The mini PCs can be used as gaming machine sometimes entrainment as well, if the core is advanced for. This can be done by using a Universal Serial Bus port and an infrared sensor. In Intel’s newest NUC core i7, fastest chips are used. It is very fast as compare to the core i5 technology, i.e. about twenty five to thirty percent. The speeds are upgraded with the advancement in the technology of the generations. Same heat sink is used in Core i5 and i7 technology and the noise of the fan is also the same for both. The GPU is enhanced in core i7 and a light gaming does not create any trouble. The power consumption is very low when the PC is kept idle and is high when a lot of work is done simultaneously. With the difference in activities, Hasswell, Brad well 15 and 17, all the three have different power consumptions. For example, when sleep mode is on, the power consumption for Broad well 15 and 17 is 1 W whereas for Hasswell NUC, it is 1.1 W. Similarly power consumptions are different for desktop to be idle, using chrome, etc.